One of the most frequent questions we get asked after we deliver a gallery is : How to pick images for your wedding album. When it comes to picking your images for your wedding album, it can become overwhelming really fast. 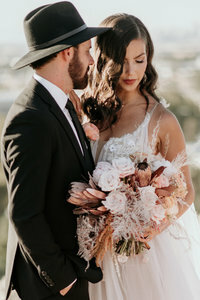 When you get your gallery of final wedding images, you can be looking through 500-700 images wondering how in the world you’re going to narrow down so many amazing memories into just a few images for your album. Don’t worry. We have a recipe to help you curate the perfect wedding images for your album to make the process super easy! Wedding day details (These details are the wedding day details like the rings, invitations, shoes, bride + groom details, venue – anything to set the storyline of the day. Getting Ready Images – these images show the beginning prep of the day. Breaking down your album into these seven categories can help you start focusing on only one part of the day at a time. This can make the task of curating your images seem much less intimidating by only focusing on one section. We typically recommend starting with 50- 60 images for your album. Here’s the breakdown we like to recommend for each section. Wedding Day Details – 1 spread – 5-7 images. 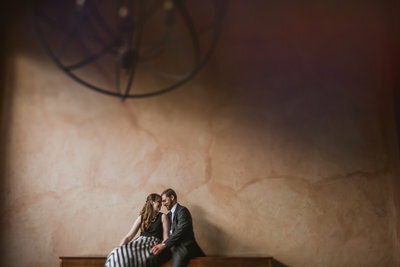 Definitely hit heavy in these three areas : wedding day details, formal portraits and reception details – these images really tell the story of the day visually and when the moments are sprinkled in throughout – it makes for a visually beautiful and story-telling album that flows well and creatively. 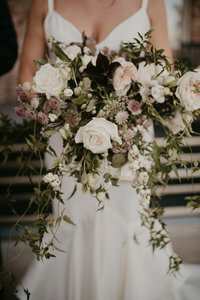 I hope this helps you curate the most stunning wedding album ever! In fact, if your’e still overwhelmed – talk to your photographer about helping you start out. We often start our couples off with their first proof of their album with photos curated by us. Love this post? 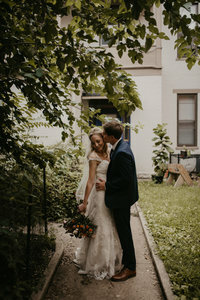 Check out our related posts : What to Do With Your Wedding Photos, 3 Tips for Getting Better Couples Portraits On Your Wedding Day.